Grilled chicken with a kick! 1. Combine the seasonings and oil to form a paste, adding more oil if needed. 2. 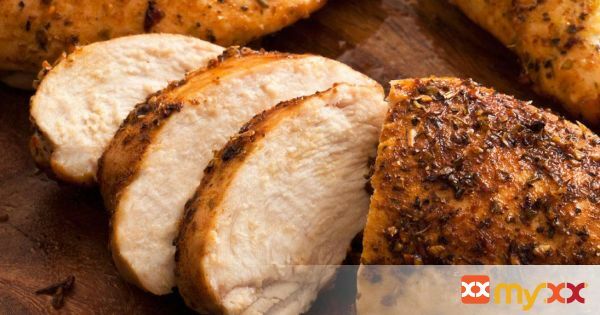 Rub the seasoning paste all over the chicken breasts; then place them in a food storage bag and refrigerate for at least 1 hour. 3. Grill or broil the chicken for about 5 to 7 minutes on each side, depending on thickness. Chicken is done when juices run clear when pricked with a fork. 4. Pop them onto a serving platter and enjoy!